Peter Stassinopoulos arrived in America early in the 1960s. Peter followed a similar path as his brother Leo, taking on several jobs including working for Chrysler from 1960 to 1965. He also worked in the restaurant business learning the trade. In 1968, a 17-year old Leo Stassinopoulos, immigrated to America from a little known village in Greece. Leo came over with very little and did not speak any English. Leo did have a strong determination to achieve a better life in America as many Greeks had in the past. He hoped and wished to obtain a piece of the American Dream he had heard so much about. At first, Leo took up a job in a meat factory and began to save up money to pursue his own goals. Later, he began to work in a local Coney Island establishment where he was able to learn the restaurant industry from the ground up. The next step was to team up with his older brother Peter and open a restaurant of his own. In 1972 the two brothers teamed up to open their first location the Southfield Souvlaki Coney Island in Southfield, MI. 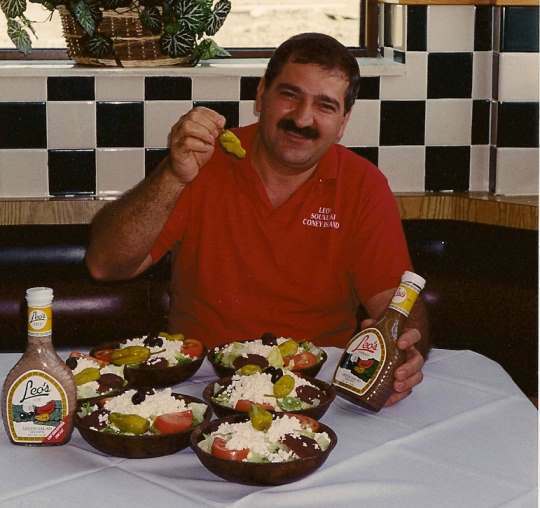 The brothers’ initial success was due to their hard work and personal touch to the Coney Island business.The family recipe for their famous Greek Salad dressing along with the chili and other great homemade items has been the backbone of success for the company. 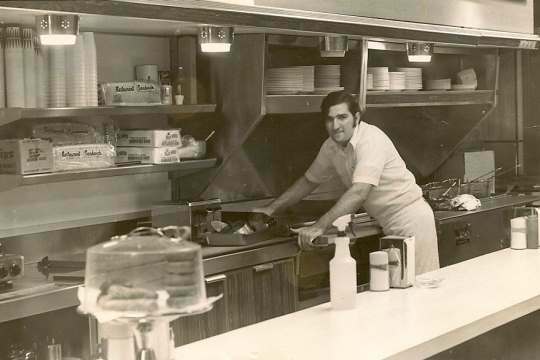 The Stassinopoulos brothers, Leo and Pete, were able to build up a reputation for quality food and service and followed up by opening their second location in 1979. By 1982, the Farmington Souvlaki Coney Island was opened and the brothers continued to build their strong reputation in the community. Soon thereafter, the decision was made that these restaurants were unique and needed to be identified by a common banner. 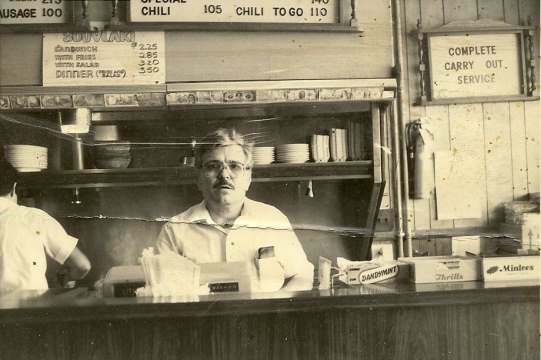 Thus, Leo’s Coney Island was born. 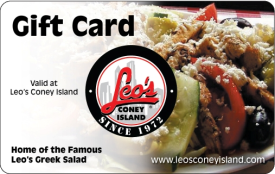 Leo’s Coney Island has evolved from a limited menu offering the basics of Coney Islands, fries, burgers and Greek Salads to a wide selection. 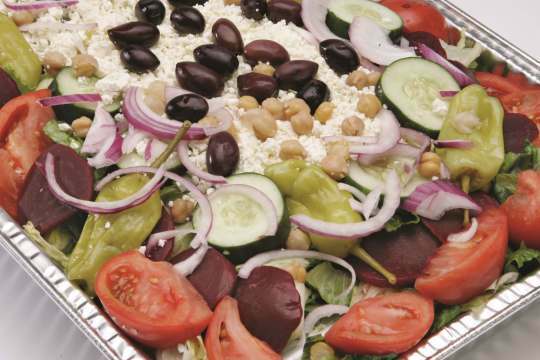 Its menu offers a full line of items for the whole family including Greek specialties, breakfast, and a kid’s menu. However, throughout the years Leo’s has not strayed from the formula of serving the highest quality products and giving great service to customers. Leo has made it his mission to provide the experience of a Coney Island, while also offering delicious homemade soups and family favorites. 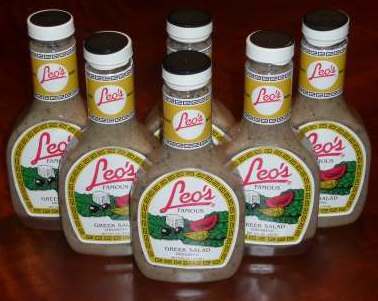 Order Leo's Famous Dressing Online! Order a case of Leo's famous Greek Dressing online via our secure portal. Leo’s throughout the years has been dedicated in being active with the local communities and provides support to local events and charities. Its mission to participate in these worthwhile causes continues as Leo’s expands into new communities. Leo’s Coney Island will always be dedicated to bringing great food and service to our customers and providing the best experience possible.